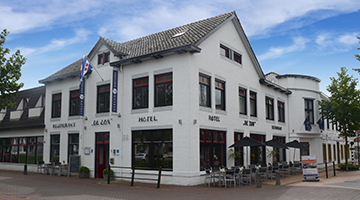 Hotel-Restaurant De Zon is centrally located between the beautiful Drents-Friese Wold National Park and the Fochteloërveen. 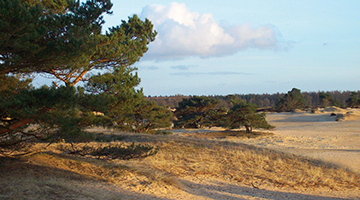 Two beautiful nature reserves where you can cycle and walk through endless woodlands, heather and sand drifts. 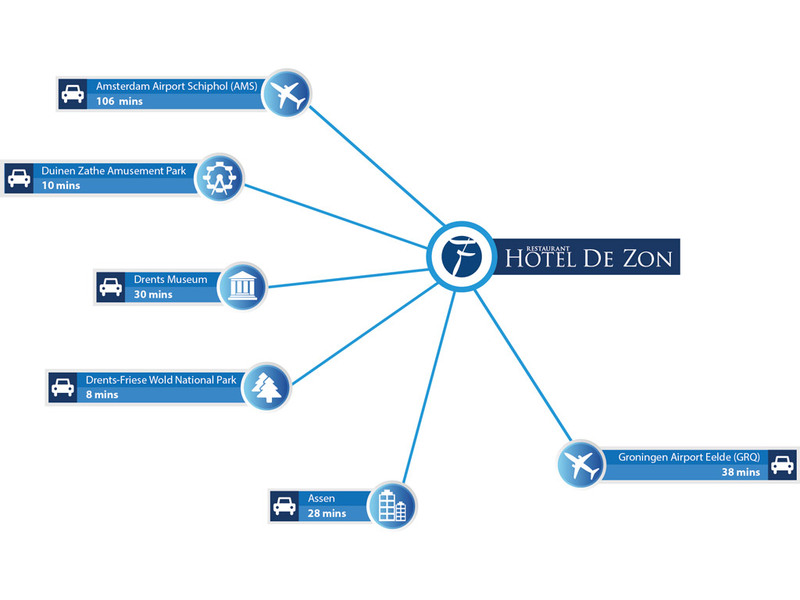 Hotel-Restaurant De Zon is located on the Turfroute. 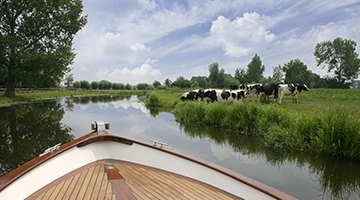 The Turfroute is a tourist boating route that passes through Friesland, Drenthe and Overijssel. From the terrace you can watch the passing boats. The area surrounding the hotel is ideal for walking and cycling. 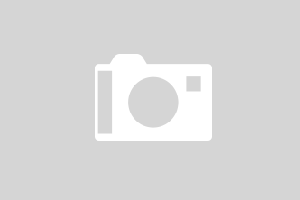 A nature reserve you will find nearby is the Fochteloërveen, one of the last raised bogs in the Netherlands.